This study is a close exploration of the radical theory that the planet Saturn was once a sun, supported by the vast collection of ancient literary sources and comparative mythology between the greatest astronomically skilled cultures in history. This theory, popularized by 20th-century scholar Velikovsky, examines a possible cosmic event that may have inspired the original institutions of sun worship, along with its rippling evolution through time, all conspicuously aligned with the Biblical accounts. In Mesopotamia and other ancient civilizations, descriptions of the Sun and the planets portray them in orbits and positions that would seem impossible according to our modern understanding. Sumerian hymns stored in the Louvre literary catalogue also tell of the planet-goddess Inanna (Venus) and her ability to eclipse the sun: “She darkens the bright daylight, turns the midday light into darkness.” Another such invocational hymn to Nergal (Mars) defies our entire understanding of cosmology as he is said to rise from the East: “You are horrifying like a flood, rising on the mountain where the sun rises.” Many more accounts likes these likewise show a radical inconsistency with the contemporary heavens, but are, however, consistent with the history of the respective planets in the polar configuration reconstructed by David Talbott, a long-time advocate of the concept’s modern progenitor, Immanuel Velikovsky. Many scholars have scratched their heads over the numerous analogous accounts of the ancients, who seem to have been inspired by a common view of the celestials, hinting at how the skies of their time might have looked much different than the skies of today. In the ancient world, there were seven classical planets, known as the “asteres planetai”, that is, the “wandering stars”. These seven luminaries were the Moon, Mercury, Venus, the Sun, Mars, Jupiter, and Saturn, placed in this order according to the Ptolemaic system, which determined their distance from the earth. The Romans used these seven to name each of the seven days of the week. They were the same seven recognized by the Babylonians, since these seven were the only major celestial bodies visible to the naked eye. In alchemy, each of them is associated with one of the seven metals known to the classical world—the Moon is silver, Mercury is mercury, Venus is copper, the Sun is gold, Mars is iron, Jupiter is tin, and Saturn is lead. The curious things is, the Babylonians called the planet Saturn “Ninib”, an older rendering of “Ninurta”, who is in early commentaries a solar deity. In fact, Greek historian Diodorus of Sicily (90 BC – 30 BC) reported that the Chaldeans, renowned astronomers who ruled Babylon in the 6th century BC, called Kronos (Saturn) by the name “Helios”, which means “sun”, explaining that it was the most conspicuous star in the sky. Latin author Gaius Julius Hyginus (64 BC – AD 17) also noted that Saturn was referred to as “Sol”, also meaning “sun”. Roman Stoic Philosopher Seneca (4 BC – AD 65) wrote that Greek astrologer Epigenes of Byzantium (approx. 200 BC) “estimates that the planet Saturn exerts the greatest influence upon all the movements of celestial bodies.” The Greeks also called Saturn “Phaenon”, which means “the shinging one”—odd, considering that Saturn’s remoteness made it appear darkest of the seven asteres planetai. Ancient Babylonian literary sources say: “We learn from the notes written by the astrologers that by the word ‘sun’ we must understand the ‘star of the sun,’ i.e., Saturn” (No. 176 in archive of ancient astrological reports). The text is “Mul (il) Šamaš šu-u”. 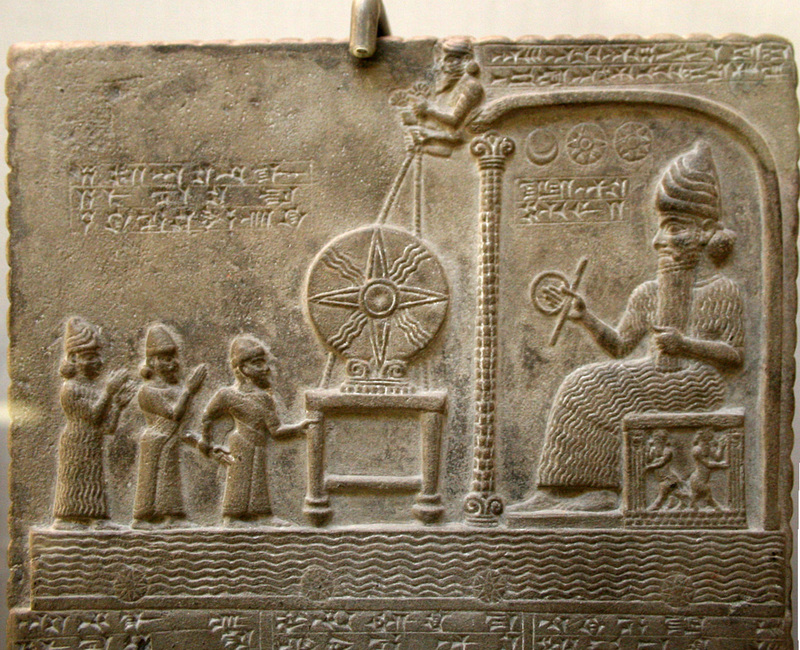 The word “Šamaš” (Shamash) is the name of the Babylonian sun god. In a more accurate rendering of this text, seeing as there is a division mark between “Mul” and “Šamaš”, it should read “Planet Saturn (as a) star is Shamash” or “Saturn is the sun-star”. We also know that the original scribe’s reference to Saturn is not mistaking it for the Sun, but rather, it tells us that what was once called the sun is the same astral body that we presently call Saturn. Consider the text “(Mul) Lu-Bat Sag-Uš ina tarbas Sin izzaz”, which translates to “Saturn stands in the halo of the moon”. This cannot refer to the present Sun, because the effect of a moon’s halo only occurs at night. It therefore acknowledges that Saturn is indeed a nighttime star, yet the claim is that it used to be the Sun. Since the planet Saturn has an entirely gaseous atmosphere in constant motion, just like the Sun, it’s plausible that it used to be a solar body itself. Its decline in luminosity can be explained by a nova. If a sudden influx of matter generates instability in a star, its approach towards another astral body can cause a violent stellar explosion in a mutual disturbance between the two atmospheres. The only other planetary body capable of causing such an event is Jupiter, the “king planet”, which is also the planet closest in proximity to Saturn for the majority of its orbit. Saturn and Jupiter are both densely covered with gaseous atmospheres, lending further credence to the possibility of this historical scenario, and the mass of Jupiter itself indicates that it is the only planet that would have been capable of causing this effect on Saturn. If this occurred in ancient history, then these planets, and the entire view of the heavens, would have appeared much different at one time. This theory is not only possible, but probable, considering what we know about Saturn and Jupiter’s thermal properties and remarkably star-like composition. 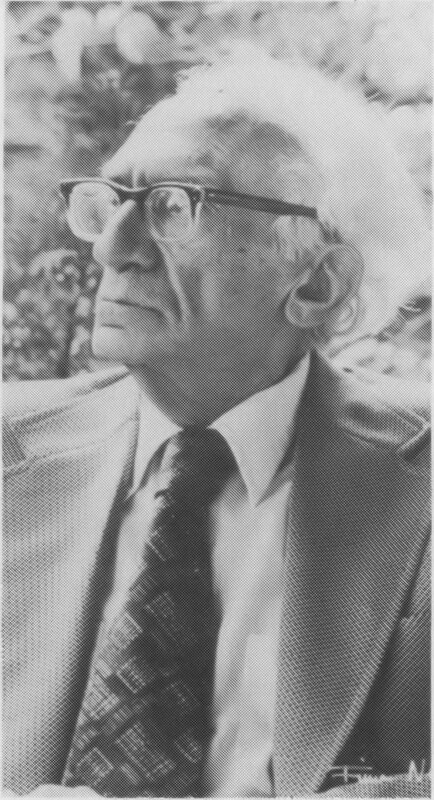 The Russian-Jewish scholar Immanuel Velikovsky developed this theory in his own independent research, reasoning that, being almost ten times farther away from the Sun than the Earth, the average temperature of Saturn had to be around -155 degrees Celsius. This proved true, and was considerably hotter than previous estimates, explained by Velikovsky as being the “residual heat of the catastrophe in which Saturn was derailed from its orbit.” He also calculated that “the radioactivity that resulted from the catastrophe must still be pronounced on Saturn.” Astronomer Kenneth I. Kellerman’s observations and measurements at a wavelength of 21.3 centimeters revealed a temperature of 90 degrees Fahrenheit for the planet’s inner atmospheric layers. Textbooks such as Fred Whipple’s “Earth, Moon and Planets” were revised after these findings, speaking of a “room temperature” on Saturn, which had been recorded on the 21-centimeter band. Measurements at radio wavelengths of 50 and 100 centimeters respectively found temperatures of 240 degrees F. and 520 degrees F., which was considered “unusually high”. In Are the Jovian Planet’s ‘Failed’ Stars?, author D. McNally wrote, “Thus it appears that Saturn, like Jupiter, is not the entirely frozen wasteland it was once thought to be.” It was eventually accepted that an internal energy source must be inside of Saturn, and that it was, in fact, more like a star than a planet in many aspects. It does, however, still lack the sufficient mass to function as an actual star. In the textbook Icarus 31, page 315, the stated measurements show how the far-infrared and submillimeter ranges indicate that the internal energy source on Saturn lies “within the range of 2.3 to 3.2 times the absorbed solar flux”, which means that Saturn gives off about three times the amount of energy it receives from the Sun. In 1980, the measurements retrieved by NASA’s Pioneer 11 space probe during its flight past Saturn revealed that the planet’s interior has a temperature exceeding 10,000 degrees Kelvin, which is much hotter than the Sun’s internal temperature of less than 6,000 degrees Kelvin. This theory is greatly supported by classical mythology. Consider the Greco-Roman stories of Saturn/Kronos being overthrown by his son Jupiter/Zeus, a symbolic representation of the planet Jupiter vanishing the Sun’s light and displacing its heavenly position. In Egyptian mythology, Osiris was equated to the Roman Saturn, and he descended into the underworld when the throne was taken over by his son Horus, who is in all sources equated with Jupiter. Said by Diodorus and Macrobius to have been a sun god who descended into the underworld, Osiris was invariably depicted with shadowy skin—either dark green or pitch black—which represented his dominion in the underworld. Again, this lore tells the same account of the Sun diminishing from its heavenly station to become the darkest of the seven classical planets. This is fascinating because researchers of comparative mythology know that the Egyptians’ religion stemmed from the Babylonians, and the Greeks’ religion stemmed from the Egyptians, and the Romans’ religion stemmed from the Greeks. All of these myths throughout history depict the same pantheon, which is probably the symbolic portrayal of a real cosmic event that took place, a celestial drama retold as the story of these mythical gods. Ancient Babylon fits the same pattern through ancient hymns that equate the god Tammuz with the sun-god Shamash. Professor Stephen Langdon, a 20th-century American Assyriologist, notes that Tammuz is called either “Damu” or “Dumuzi”, who was in mythology drowned beneath the river Euphrates. The ancient hymns plead for his resurrection, “O Damu, from the river arise…” This is why Ezekiel 8:14 mentions the age-old female ritual of “weeping for Tammuz”. Other Babylonian hymns say of him “O my exalted one, who is like Shamash? Thou art like Shamash” (See Ch. 11, p. 343 of Mythology of All Races V). More ancient liturgical texts reveal, “The flood has taken Tammuz” (See Ch. 15 of Tammuz and Ishtar). So, in the Babylonian hymns, we see an illustration of a sun-god being drowned by a flood. This is an important clue as to the possible timing of Saturn’s decline from solar status. In Greek mythology, the Golden Age was the first of the ages. It was said to have been ruled over by the god Pan, who is the same as the later identified Kronos, or Saturn. In fact, Pan was a type of he-goat called a “satyr”, which derives from the same root word as “Saturnus”, and “Kronos” comes from the ancient Semitic word “qrn”, which means “horn”, effectively making Kronos/Saturn the “horned god” (think of words like Capricorn, tricorn, unicorn, etc…). It was said that the end of the Golden Age was marked by the death of Pan. This is, in fact, the only pagan deity whose death is recorded, recounted in Plutarch’s “The Obsolescence of Oracles”. If Pan, Kronos, Saturn, Osiris and Tammuz are indeed one in the same, personifications of the ancient sun, then the end of the Golden Age as marked by his death again portrays the planet Saturn’s decline from solar status. And, the ancient Babylonian hymns tell us that it was “the flood” that drowned Tammuz. This strongly indicates that this cosmic event occurred at the time of the Biblical Deluge; furthermore, this cosmic shift in our solar system is likely what caused the disturbances that precipitated this globally destructive disaster. Remember, the Flood is spoken of in the ancient lore of over 250 cultures worldwide. The Book of Genesis tells us that people used to live hundreds of years before being reduced to only 120 years near the end of Noah’s life (Genesis 6:3). This is interesting because a study conducted by the Norwegian University of Science and Technology revealed that being born during a period of heightened solar activity can shorten a person’s life span. If the Sun truly has such a pivotal effect on the human life span, then it is probable that the shift between the former Sun (Saturn) and our present Sun is the cause for the subsequent shortening of mankind’s life span. Now we know why it was called the “Golden Age”. The base metal gold has always represented the Sun, and it was the former Sun that ruled the pre-Flood time known as the antediluvian era. The Golden Age ended because the sun of that time literally faded to darkness and became a mere planet, Saturn, a story told in every major mythological account throughout classical antiquity. In ancient Rome, the original date for the festival of Saturnalia was on December 17th, the first day of the astrological sign of Capricorn, relating Saturn to his role as the horned he-goat Pan from the Golden Age. 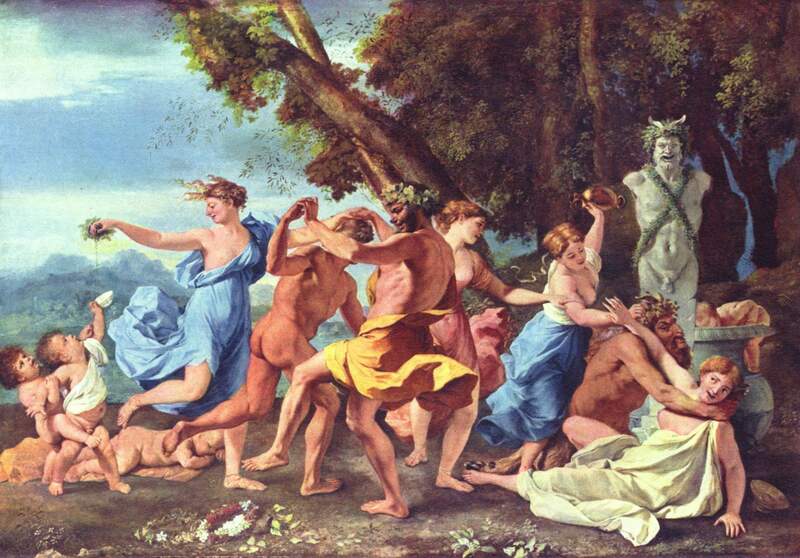 Originally, the idea was that Saturnalia should be 16 days before the calends of the year. This was the dedication anniversary—”dies natalis”—of the Temple to Saturn in the Roman Forum in 497 BC. In ancient Babylon, this is the same time that Tammuz was said to be reborn, as the Sun began to return the fullness of its light subsequent to winter solstice. December 25th, now called “Christmas”, was referred to by ancient Mithraic cults as “Solis Invicti”, which means “Birthday of the Unconquered Sun”—hopefully, you can see that this was not Christ’s actual birthday, and that celebrating it as such accomplishes quite the opposite intention. Saturnalia’s close proximity to the winter solstice celebration just a few days afterwards related Saturn to the sun-god, a sequence possibly demonstrating how, chronologically, the fallen Saturn came before the more victorious sun that we see today. The Roman Catholic symbol used in portraits to distinguish saints has always been a golden halo, an invention suspiciously absent from the Biblical scriptures. If the planet Saturn was once the sun of the ancient world, having its notably unique rings, it might have appeared as a shining ring of light. Via gnostic occultism, lingering remnants of Rome’s paganism probably continued to manifest within Roman Catholicism, and so, it isn’t farfetched to conceive that the early Catholic Church was still falsely attributing Christianity to ancient sun worship. The halo’s interchangeability with the golden disc supports the idea that this symbol is representative of the sun. It should also be observed that, the idea of the former Sun becoming the planet Saturn is a perfect portrayal of the Judeo-Christian concept of Lucifer becoming Satan. The brightest of the heavenly stars became the darkest, just as the most luminous of the angels fell from Heaven and became the epitome of evil, from one extreme to the other. Ezekiel 28 tells us that Lucifer was “anointed as a guardian cherub”, “the signet of perfection, full of wisdom and perfect in beauty”. The name “Lucifer” itself, given in Isaiah 14:12, means “light-bearer”, from the Hebrew “Helel”, which can be translated as “bright star”, or “star of the morning”, as in the star that presides over daytime—the Sun. The prophet Isaiah wrote, “How you are fallen from heaven, O Lucifer, son of the morning!” This is perfectly describing the cosmic decline of solar Saturn—the brightest star that once ruled the morning was stripped of its light and cast off to become the most distant of the seven classical planets, and thus, the darkest. Light became darkness. Good became evil. Kronos/Saturn has also been called “Typhon”, from which comes his other title “Baal-Zephon”. The word “Zephon”, as in the Hebrew “Tsaphon”, can also mean “hidden”. “Saturn” comes from the word “סָתַר” (in English, “STR”), which means “to hide or conceal”. This name literally signifies how Saturn as a shining sun disappeared from the heavens for a period of time and reemerged as a tiny, distant star, which was portrayed in mythology as Osiris’ descent into the underworld, as well as Kronos/Saturn being imprisoned in Tartarus (the underworld) after being defeated by Zeus/Jupiter in the great war known as the Titanomachy. When Saturn reappeared as a distant star only a fraction of its former size, the ancients were still able to recognize it as their former Sun, as demonstrated by the Babylonian astrological records, and it was this very reemergence that told the story of the god’s death and rebirth, hence the Greek phoenix, based on the Egyptian Bennu, both cyclically rebirthing birds being directly related to the Sun in their mythology. Both Osiris and Kronos/Saturn are linked to the underworld by their chthonic nature, just as the planet Saturn was forevermore transformed into the darkest of the seven stars. Acts 7:43 makes a reference of Amos 5:26 by mentioning a long-worshipped Ammonite deity known as “Moloch”, or “Remphan”, to whom infants were sacrificed alive as burnt offerings: “Yea, ye took up the tabernacle of Moloch, and the star of your god Remphan, figures which ye made to worship them…” The name “Remphan“, from the Greek Septuagint’s “Raiphan“, is taken from the Hebrew “Kewan“, stemming from the old Babylonian “Kayawanu“, which is the name for the planet Saturn. This is what is meant by “the star of your god”. 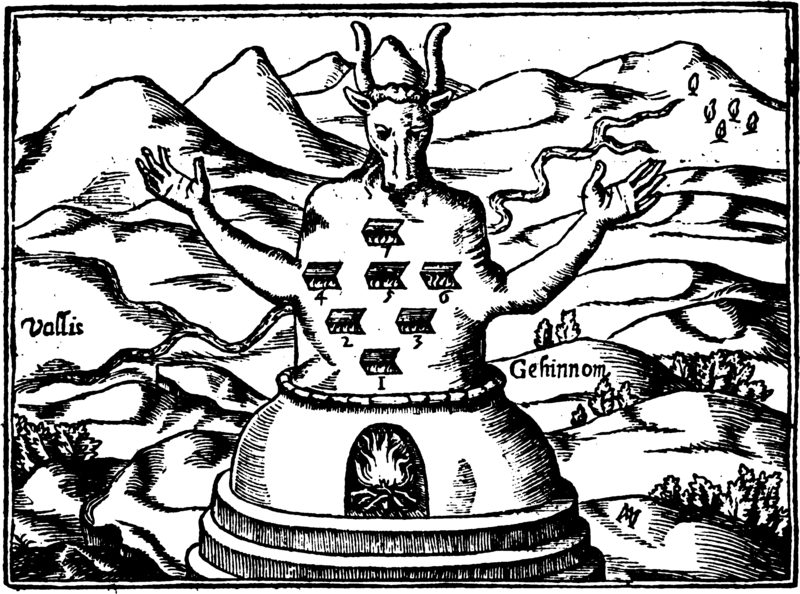 Furnace of infant sacrifice — idol of Moloch (Kronos, the “horned one”). A small symbol can be seen in the illustration above on the right-hand side, along the hillside at the base of the idol. This symbol is called the “Sigil of Saturn”. It is a magical symbol dating back to medieval times, drawn from the “magic square” of Saturn, an ancient table of numbers believed to contain the magical essence of the planet. The sigil is drawn by tracing the numbers within the magic square in order. It is also a disguised hexagram—six-pointed star—also known as the “Seal of Solomon”. In ancient Babylon, the priests used to wear an amulet called “Sigilla Solis” (the Sun Seal), which contained numbers from 1 to 36, since their astrologers divided the stars of heaven into 36 constellations. If you add the numbers of any column either horizontally, vertically, or diagonally, the total is always 111. The sum of all six columns, horizontally or vertically, is therefore 666, a number visually represented by the hexagram symbol. This directly relates the hexagram to Babylonian sun-worship, thereby equating the two sigils of Saturn and the Sun. It’s also obvious that the magic square of Saturn is based on the Sun Seal’s similar square table of numbers. This Sigil of Saturn is also the basis for the “Square and Compasses” emblem of Freemasonry. Saturn has always been equated with the base metal lead, because Saturn is now the furthest from the Sun, therefore being as dark as lead, just like the shadowy skin of Osiris. 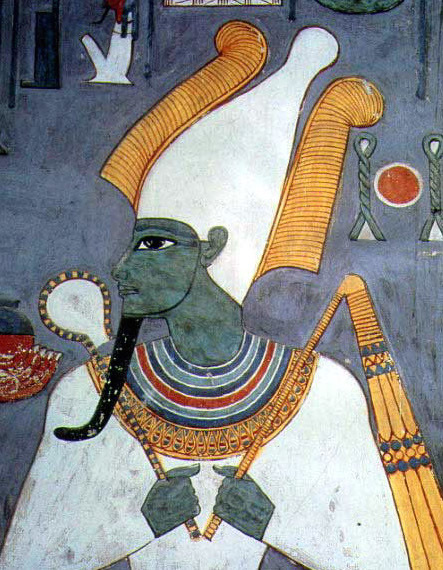 This correlation to Osiris makes sense in terms of his diabolical characteristics, since the satyr god Pan, who was Kronos/Saturn/Osiris, is where we derive our modern image of Satan as having horns and goat-like features. In the Bible, purely by analyzing the stars, the three magi knew that a king of all kings had been born in Bethlehem, which is how they found the cradle of the infant Jesus Christ. This denotes how the cosmic events depict what’s actually taking place in history, a sort of reflection of reality that we can see in the heavens to help us understand the story of life, which also means that history must have been predetermined before it began. In Genesis 1:14, the first listed purpose for the creation of the “lights in the firmament of the heaven” is that they are to be for “signs”, to “mark sacred appointments”. Genesis 6:5 says that God sent the Flood because evil filled the earth: “Then the Lord saw that the wickedness of man was great in the earth, and that every intent of the thoughts of his heart was only evil continually.” If this antediluvian era was the same as the fabled Golden Age, then its dominion under the sun-god Saturn/Lucifer is precisely why it was considered so evil. The Bible often refers to Satan as being “the ruler of this world” (John 12:31). It could be asserted that the decline of solar Saturn via Jupiter was the celestial depiction of Jesus Christ usurping Satan’s seat of authority over the earth, since the planet that overthrew Saturn was Jupiter, known as the “king planet”. Remember, Christ is called “the King of Kings”, and the Bible prophesies of Christ’s sovereign rule over the earth during the final millennial reign that follows His second-coming. The sign of Saturn’s darkening illustrates Lucifer’s descent into becoming Satan, after which Christ strips him of his temporal earthly authority. In alchemy, the much sought-after Philosopher’s Stone was said to be the key material needed to transform lead into gold—lead representing Saturn, and gold representing the Sun. To transform one into the other is to depict darkness turning into light, that is, the triumph of Satan’s campaign to revive his former glory as Lucifer. In Virgil’s Fourth Eclogue, the Cumaean Sibyl, an ancient Apollonian priestess, is said to have spoken about a revived Golden Age: “Now the last age by Cumae’s Sibyl sung has come and gone, and the majestic roll of circling centuries begins anew: Astraea (Justice) returns, returns old Saturn’s reign.” This pagan prophecy of Saturn, who ruled the first Golden Age, speaks about him returning to rule the last age also. Interestingly, Luke 17:26 tells us that, at the time that Christ returns to the earth, it will be “just as it was in the days of Noah”. The days of Noah refers to the antediluvian era, the so-called Golden Age, thus the Sibyl’s prophecy signifies that this final period in history will be a revived age of Saturn-ruled paganism. Of course, the Bible prophesies of its failure, a quickly delivered terminus at the second-coming of Christ, but the idea clearly falls in line with the age-old endeavor to transform lead into gold, which is to transform Saturn back into the Sun, and Satan back into Lucifer—the fallen Devil’s futile aspiration to justify himself. There is a circulating claim that Jesus Christ was yet another reincarnation or myth of this same Osirian/Saturnian sun-god, based on a few vague similarities; however, as historical scholars and theologians analyze in detail the many records of Christ’s life and teachings, it is quickly revealed that He was not only different than this preceding pagan deity, but in fact, He vehemently opposed this deity, regarding the Babylonian/Egyptian religion as the Devil’s own handiwork, as did the entire Old Testament to which He was entirely enmeshed. The theory is absurd and premature, and it denies that, whereas Christ was a real person historically recorded in both apostolic and Roman accounts, the gods of the pagan pantheon were but mere personifications of the stars, whose legends were symbolic of ancient cosmic events. [#2 p.163] Hyginus, Astronomica (ed. Bunte), II, 42, 6-10.